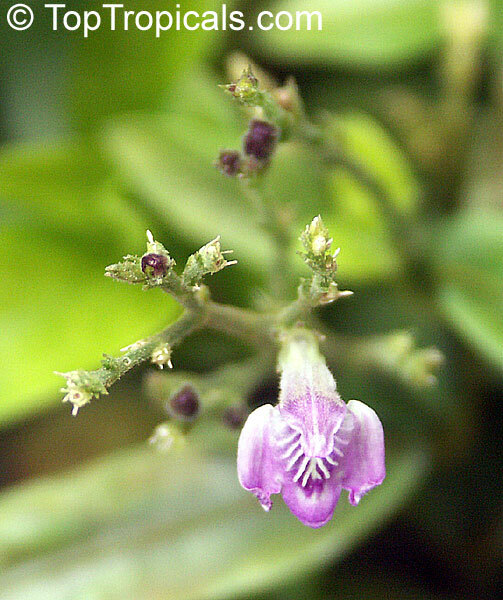 Justicia pectoralis is an erect herb growing up to 60 cm tall and producing white or pink flowers. Its leaves and stems contain coumarin, an anticoagulant. It is used medicinally in S. America and has been used as an admixture in virola snuffs, partially for it's vanilla-like smell. 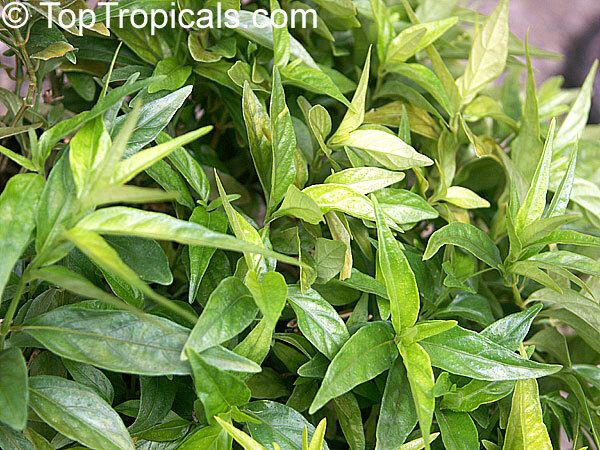 Tilo is a climbing or trailing herb with slender stems that root at the nodes. The opposite leaves are lanceolate and have somewhat wavy petioles. The flowers which are borne in one-sided panicles are tubular and two-lipped with a downy outer surface. The white, lilac, or pink throat is sometimes dotted with dark purple. Velvety flattened seeds are found in seed capsule. Grown by Cubans in South Florida, var. stenophylla was originally used by indigenous people of E. Colombia and the Amazon basin. Various Waika groups dry and pulverize the leaves and add them to the powdered "resin" of Virola thetodora to prepare a hallucinogenic snuff. Extracts of cultivated material originally collected in the Peruvian Amazonia contain betaine, coumarin, unbclliferone, but in animal experiments these extracts were neither hallucinogenic nor produced synergistic effects comparable to those induced by tryptamines. Bundles of tilo are sold by herb vendors in Cuba and Panama. Cubans substitute tilo for the imported Tllia europa and use it as a pectoral and sedative "tea". In Panama a decoction is taken to relieve stomach distress and leg pain. Barbadians and Puerto Ricans take the sweetened plant decoction as an expectorant In Guadeloupe and Martinique a decoction is used as a digestive and tilo mixed with culinary oil is a remedy for chest complaints. Sometimes the dampened leaves are used as an external bandage on wounds. In Trinidad, a decoction is used as a remedy for cough, chest cold, flu, fever, and vomiting. An old Jamaican remedy for infant colic and TB is a combination of tilo and Cuscuta amtricana mixed with orange and sugar. Tilo grows readily in S. Florida both in the ground, where it makes a lush ground cover, or in hanging baskets and living wreaths. To propagate, any node will put out roots. The leaves are yellowish when it is grown in full sun and become a rich, dark green in shady situations. With few problems and pests, it weathers our summers with ease, and can’t survive freezing temperatures. (By Lu Weber).